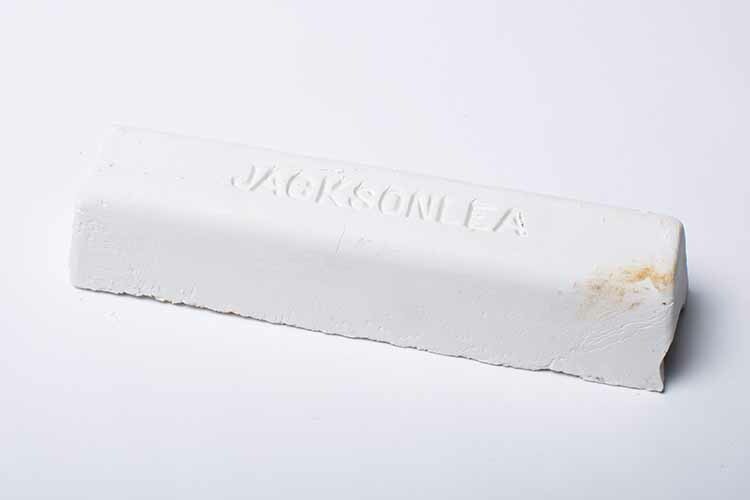 Falcon's Cutting Compound comes in a 2 lb bar in either off-white or black. The off-white cuts faster and is coarser than the black. The black can be used on aluminum and stainless.